Our Activity Groups Manager Franziska reflects on the life of one of her historic role models, Sayyida Salima bint Said, born as a princess of Oman and Zanzibar and later known as Emily Ruete. In 2011, I stumbled upon the newest book by Nicole C. Vosseler, a German novelist. “Stars over Zanzibar” promised a good read, and I was pleased to find that, just like her previous two novels, it had expatriation as an underlying theme. Contrary to my expectations, it was not a story about a European heroine who finds love and adventure in faraway lands. Rather, it retold the incredible life of Sayyida Salima bint Said, an Omani princess who grew up on Zanzibar, fell in love with a German merchant, and followed him to his native Hamburg. After his early death, she struggled to make ends meet, but achieved moderate fame with her memoirs, which were published in 1886 – the first known autobiography of an Arab woman. I consider her a role model because she managed to brave a multitude of challenges in her life and faced expatriation time and again with a courage that few of us possess. In fact, Salima hailed from an “expat” family herself. Her mother Jilfidan had been born and grown up in Circassia, and it was there that she was captured by slave raiders. 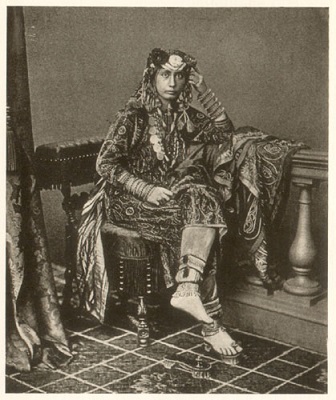 Traded to the Zanzibari palace, she became one of many concubines of the reigning Sultan (Circassian women were then renowned for their beauty and elegance throughout the Middle East). Salima’s father originated from Oman, but after the conquest of Zanzibar, he decided to relocate to the fertile island. The princess grew up bilingually in the various palaces of the Omani rulers. After both her parents died, she retreated to one of her plantations in the countryside. Having been embroiled in the bitter succession conflict between two of her brothers, she led a comparatively quiet and sheltered life there. Salima’s move back to the capital, however, brought her in contact with her neighbour, German merchant Rudolph Ruete. They fell in love and soon after, she became pregnant with his child. When her pregnancy became visible, scandal loomed: her family had been aware of the relationship, but a Muslimah could never marry a Christian man. So she had to flee Zanzibar on a British ship to Aden. In Yemen she gave birth to her first son Heinrich and was finally reunited with Rudolph. After her conversion to Protestant Christianity (with which she forfeited all her possessions in Zanzibar), her name was changed to Emily. Thereafter the lovers married and traveled to Germany via France. Sadly, the baby died en route to the family’s new home. In her new life in Hamburg, the former princess had to deal with culture shock, discrimination, and her role as a mother of several young children. Shortly after the birth of her fourth child, her husband Rudolph died in a tragic tram accident and left the young widow destitute. To support her family, she gave language classes in Arabic, published her memoirs about her origins in Zanzibar, and relocated repeatedly, ever restless. In a desperate attempt, Mrs Ruete even appealed to the German authorities, a move which brought her to the attention of both the German and British sovereigns. It was rumoured that Bismarck, the German chancellor, intended to install her son as the Sultan of Zanzibar or use her as a pawn during the German-British colonial crisis in East Africa. 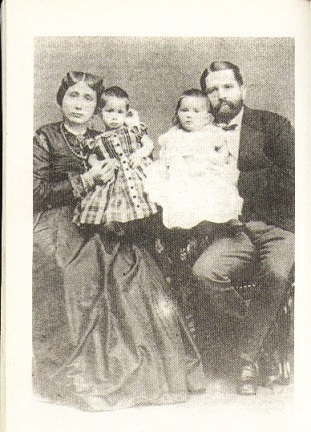 However, when the power play between the imperialist nations (“the scramble for Africa”) came to an end, neither government took any more interest in Salima/Emily and her children. Later in life, the homesick woman fulfilled her heart’s desire and revisited the island twice. Between 1889 and 1914, she travelled extensively through the Middle East and lived in Beirut and Jaffa for longer periods. In 1920, she relocated to Jena, to be close to one of her daughters, where she died four years later, at the ripe old age of 79. You can read more about Salima’s / Emily’s experiences on Zanzibar in her memoirs.